The perfect place to indulge in a few spine-tingling delights overlooking the River Thames, The Royal Horseguards is perfectly positioned in the historic heart of London, just yards from Westminster and Downing Street. Built in 1884 in the style of a French château, the grade I listed, luxurious 282 bedroom hotel offers a choice of bedrooms and suites, many with magnificent views over The Thames - making the property one of the most charming hotels in London. 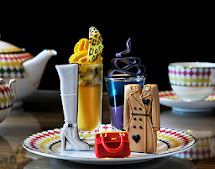 Conceived by the talented Head Pastry Chef Joanne Todd, this specially designed limited edition Hallowe'en tea offers a selection of ghoulish treats to really sink your teeth into. These fabulously frightening sweet treats can be enjoyed in the hotel's wickedly comfortable lounge. 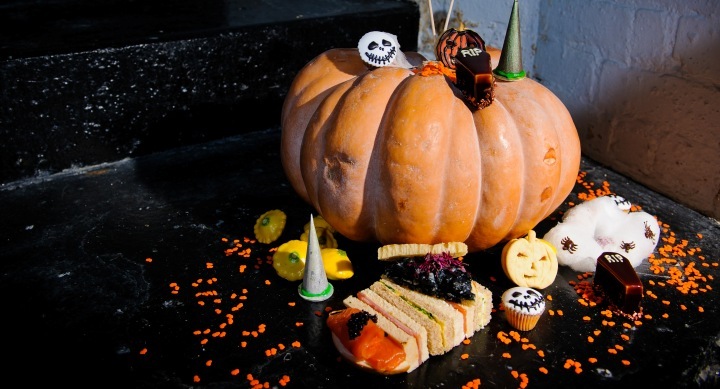 This special Halloween Afternoon Tea is available 26th October to 4th November 2012 at The Royal Horseguards Hotel.